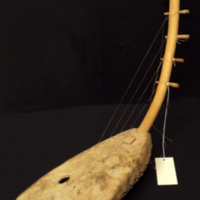 A 4-stringed musical instrument; animal hide stretched over a wooden body with an arched neck. Appears similar to examples from Uganda. unknown, . 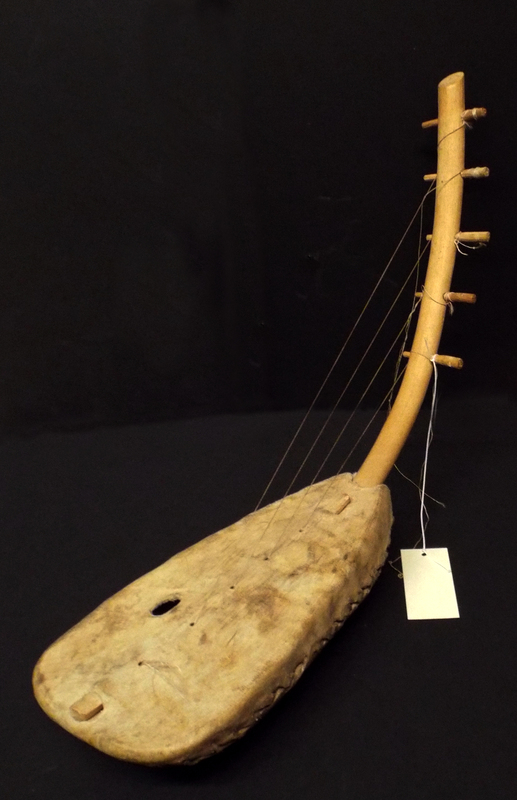 “Andungu.” Truman Warner Anthropological Collection, MS048. WCSU Archives, 6 June 2018. Accessed on the Web: 18 Apr. 2019.